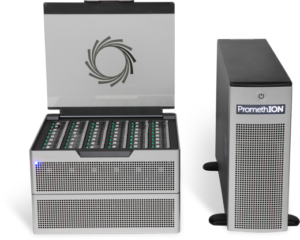 PromethION is a standalone benchtop system designed to run up to 48 flow cells at any time. The system allows on-demand sequencing. Users can start and stop running individual experiments as required, or deploy multiple flow cells onto single experiments for greater speed or throughput.